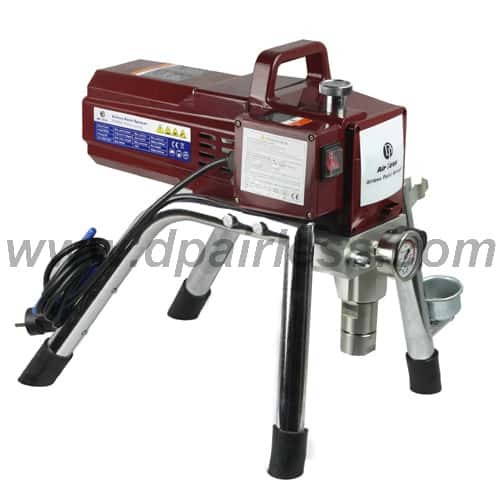 DP-6825 electric airless sprayer (1.5HP, 2.5L) is suitable for most kinds of professional & commercial painting jobs, such as medium to high viscosity water-based latex paint,and some oil-based paints, primer, enamel, waterborne, colorant, stains, acrylic, emulsions, varnish, floor coating, and some anti-corrosive painting etc. Belt-driven design result half speed, and totally reduce the parts worn & prolong its lifetime. TEFC (totally enclosed fan cooled) motor with fast cooling and quiet performance. 4-legs grounded compact design, with low vibration. Stainless steel + tungsten of carbide inlet/outlet valve ensure you 100% good performance. Higher pressure (max.250bar) for better atomization, and higher efficiency, ideal for medium to big contractors. Supports hose length up to 60m maximum, and max.0.021″ spray tip size. Spare parts for repairing 1. Diaphragm. 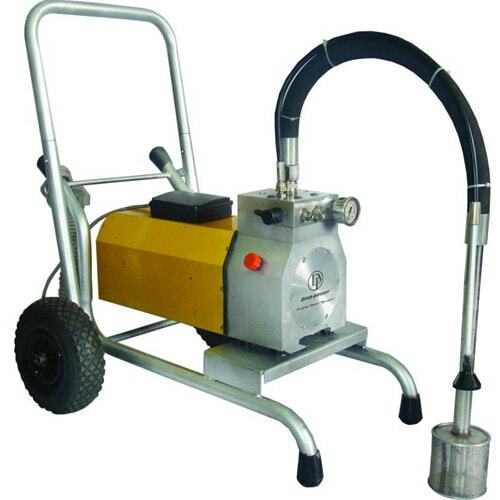 Airless paint sprayer, airless spray gun with 517 tip, 1/4*15m hose, repair kit, manual. I am mahendran from india. I have DP 6825 model. But my gun needle was broken. So i need five set of gun needle and five set of gun needle seat. What can i do. Please send message its very very urgent. I will wait for your favorable reply. dear sir, we are interested in purchase painting equip…huge quantity please send your best offer….please contact urgent….thanking you…..